What technology is onboard Dawn? In addition to radiometric and optical navigation instruments, Dawn has three main science instruments: a visible-light camera, a mapping spectrometer that measures visible and infrared light, and a gamma-ray and neutron spectrometer. 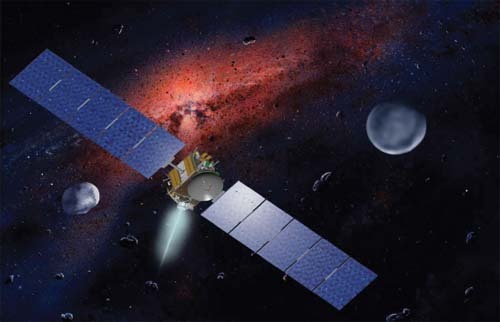 Furthermore, Dawn is powered by the most sophisticated ion propulsion engine yet produced, and is thus an important test bed for this important spacecraft technology of the future.